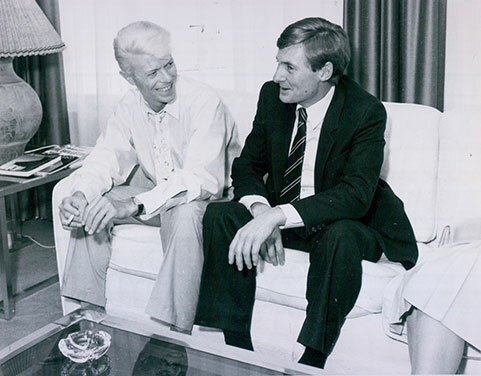 Whilst in Adelaide, Bowie gave a personal interview to the State Premier John Bannon and his wife (both fans). 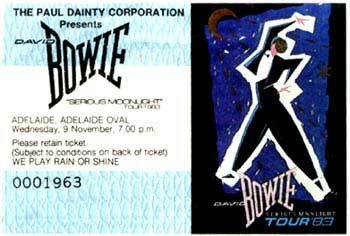 Bowie promised to consider an invitation to sing at the South Australian 150th Anniversary in 1986 and passed the time talking about films. 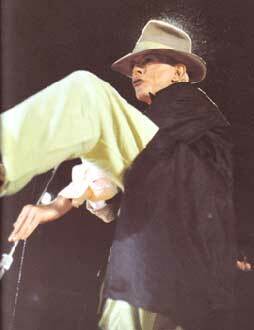 As in 1978, Bowie again played the Adelaide Oval - a show that was billed "We play rain or shine" and sure enough, it rained. Scan from Cass aka SoulLoveChild. 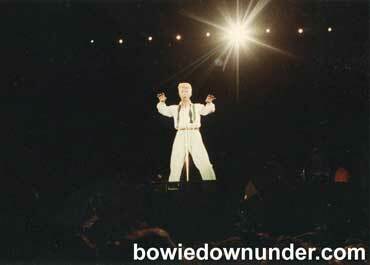 The News of Adelaide called Bowie's concert "The show of the decade". 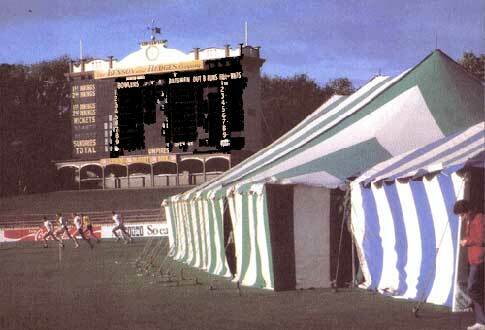 Above & Below: Adelaide 1983. 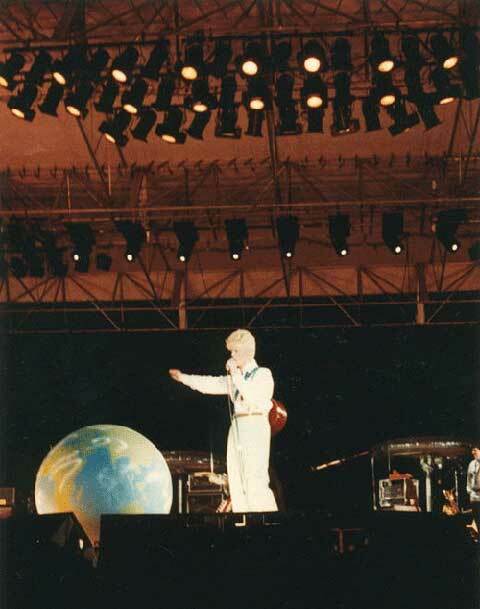 Photos from David Bowie's Serious Moonlight The World Tour. 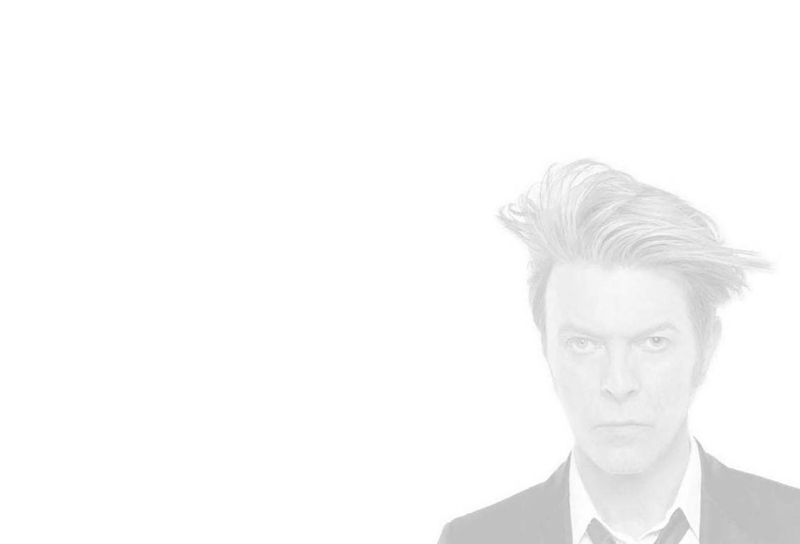 Above: Bowie and John Bannon, 1983. 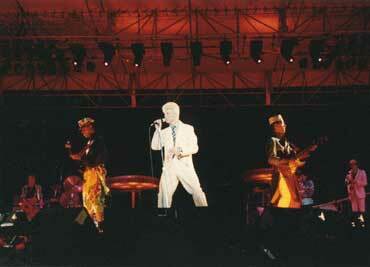 Image sent in by Pascal. Photos by Eamonn aka Abbey Stump.